VECTOR-ARTS is a cutting edge supplier of shop drawings for various niches of architectural industry. Our success is driven by our commitment to provide the apex of quality detailing, drafting and engineering services. We've been working with leading woodworking companies, developers, architects, general contractor and designers for over 10 years. VECTOR-ARTS offers pre-construction consulting, detailing and engineering assistance. We specialize in commercial, residential, educational, and industrial: offices, banks, stores, hotels, museum, hospitals, airports and large high-end residential projects. We know that timing is a crucial part of all projects and creating professional drawings in-house can be a drain on resources. 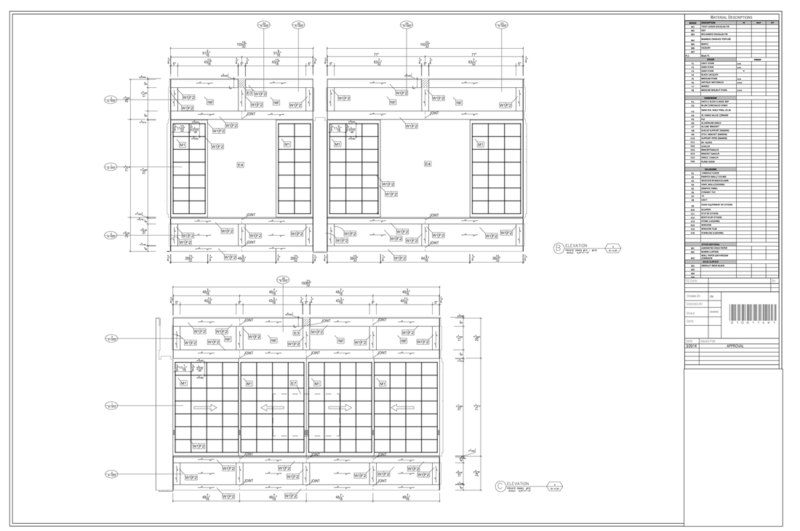 With our expert drafting service we can produce submittal drawings as per architectural blueprints and sketches in just a few days, which will significantly reduce your costs and save time for your engineers and production department. Our team of highly educated experts are certified in Auto-CAD and Microvellum, and their professional experience and woodworking knowledge provides a trusted source of high quality work. The team also brings to the table expertise in various valuable niches of the design and construction industries. Our skilled usage of sophisticated software and experience in construction-related fields not only ensures accuracy in detail, but also brings to fruition the successful execution of multi-million dollar projects.